Los Angeles Air Force Base is a United States Air Force Base located in El Segundo, California. Los Angeles Air Force Base houses and supports the headquarters of the Air Force Space Command's Space and Missile Systems Center (SMC). The center manages research, development and acquisition of military space systems. The 61st Air Base Wing provides support functions for the base. In 1961, the Air Force developed a plan to consolidate its Space Systems Division and the Research and Development (R&D) Center of The Aerospace Corporation, which had been created in 1960 to support Air Force space programs. The plan involved acquisition of two pieces of real estate adjoining the R&D Center. An aircraft plant owned by the Navy at the northwest corner of Aviation and El Segundo Boulevards, was transferred to the Air Force in October 1962. Another site at the southwest corner of the same intersection, was owned by a mining company. 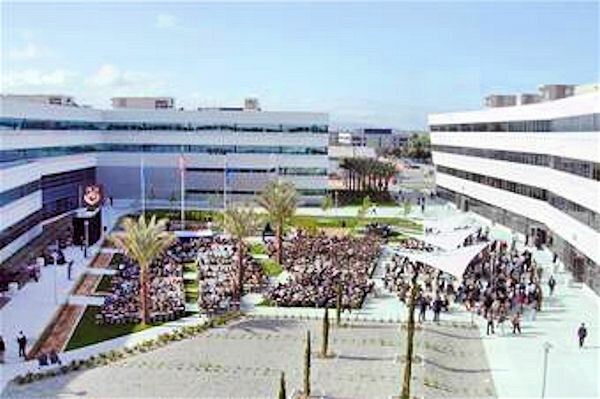 The Aerospace Corporation acquired that site in November 1962 and built its new headquarters there between February 1963 and April 1964. 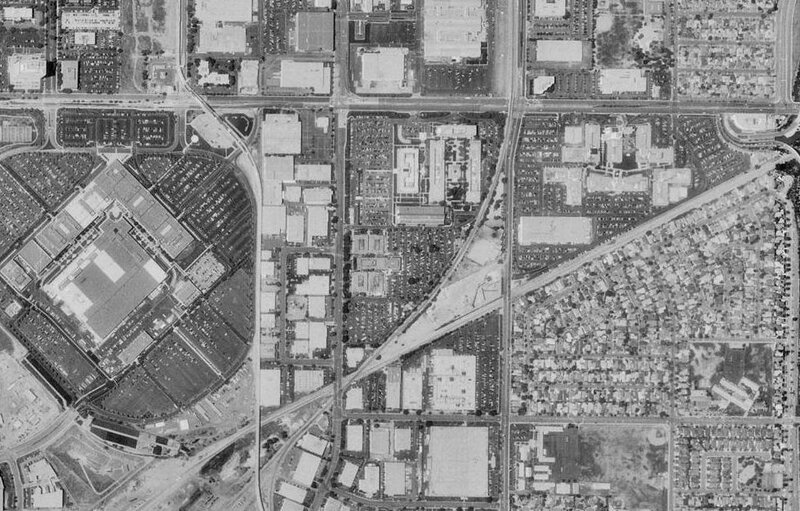 By April 10, 1964, the Air Force property at the intersection of Aviation and El Segundo Boulevards was designated as Los Angeles Air Force Station, which was redesignated as Los Angeles Air Force Base in September 1987. In 2006, Area A of LAAFB was permanently closed after a deal with a local builder to exchange the land in Area A for the creation of the Schriever Space Complex on Area B and other new facilities. In February 2007, a new base exchange opened up on Area B. The portion of Fort MacArthur remaining in military use is a sub-base of Los Angeles Air Force Base serving as a housing and administrative annex. Fort MacArthur is in the San Pedro district of Los Angeles, approximately twenty miles south-east of Los Angeles Air Force Base.